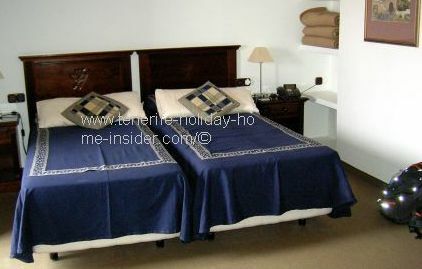 Tenerife hotel rural Victoria and is it for family holidays or not? This is a Tenerife hotel. In fact it's a prototype by architecture, location, management and more. It's name is Hotel rural Victoria and it even has class on the outside. Modern hotels in Tenerife are rather European or even international by looks. Why? There are many similar ones all over the world. 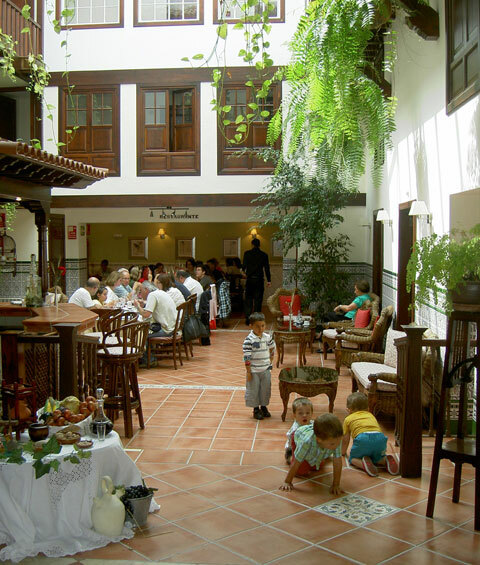 The Victoria hotel may rather be classified as a town establishment contrary to the nearby Hotel Rural Orotava which has its own charm. Hotel Rural Orotava of typical Tenerife hotels shown with charming rustic public amenities contrary to the more urban Hotel Rural Victoria. The latter has much more the flair of a genuine, rustic country inn. It takes less than minutes to walk from one to the other. 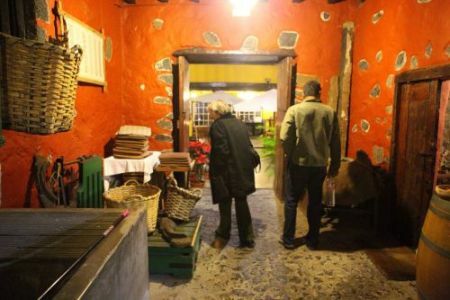 Actually, both hotels are in the old quarters which were more agricultural in the past. Hotel Rural Victoria is like a charming large townhouse where it's easy to feel at home. 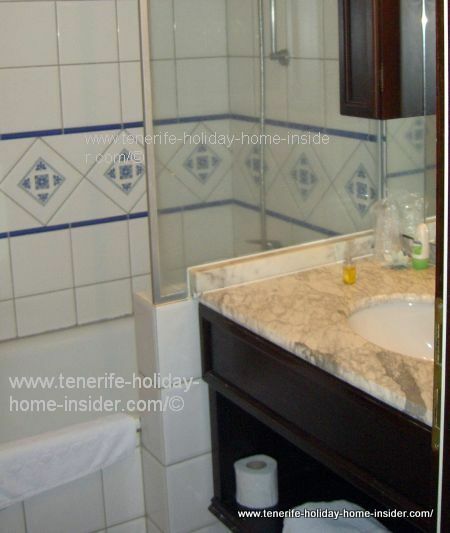 Its 13 beautiful double bed rooms with bath en suite go with the flow of the elegant la Orotava. Its extra bonus is chef Richard Etherington who once owned the highly popular Restaurant Los Olivos of Santa Ursula. Richard is chef artist who made dance everybody's taste buds. Now he does it again and again at the Tenerife Victoria hotel. A Tenerife hotel with magic views. 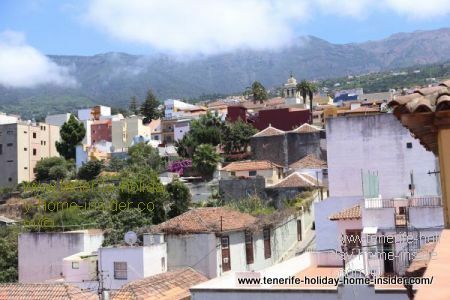 This hotel rural Victoria of Orotava has a magic roof top with breath taking panoramic views. Spread out in front of your eyes are more than the clay tiled roofs of the town. Views from Hotel Rural Victoria towards the Atlantic ocean. Mount Teide and its green belt of forests are on one side and the scintillating ocean is on the other. Calle Hermano Apolinar below shows a green urban environment. 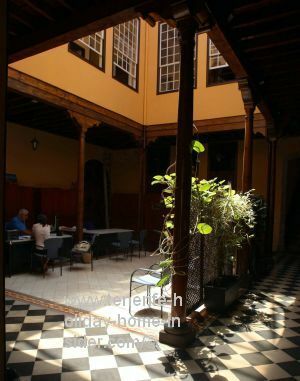 A Tenerife hotel which gives credit to its historical and green neighborhood. The so called daughter of the famous Botanical Gardens of Tenerife adjoins this hotel. So is the elegant Town Hall. Domes and bell towers of the many beautiful churches add to the variety. By the way, the extremely well restored XVI century hotel which was named after Queen Victoria blends in perfectly into the old hub of the town. The mansion has a spacious sun kissed indoor hotel yard. 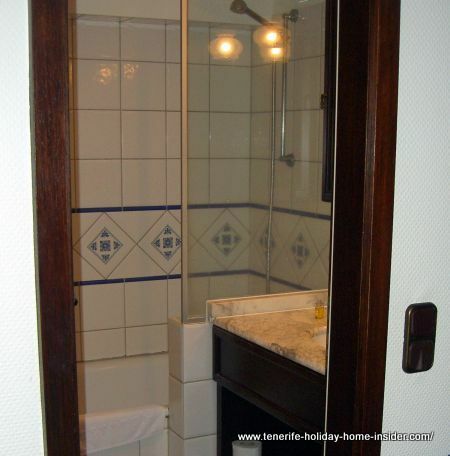 It's of typical, charming Canary Island style. Lush green ferns and Ivy trail down over stunning Portuguese wall tiles. The plants hang down from the balcony galleries of an upper floor. Below it, a bar and a generous drawing room with cane furniture invite to relax. Black and white floor tiles round off the picture book perfect impression in some areas. Indoor yard for eating out. The L-shaped dining room is in the background. We couldn't only see Richard working in the kitchen but could also admire the entire patio where we had lunch at Hotel Victoria end of July 2013. Taking photographs there, while you wait for the freshly prepared food is a perfect past time. 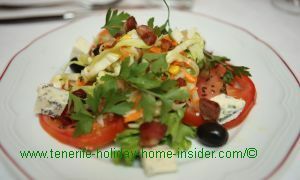 Starter salad a la Richard Etherington. A preview of our excellent menu by a delicious salad a la Richard Etherington. Needless to say is that none of its ingredients came out of a tin. 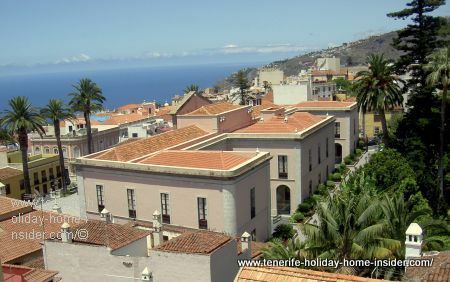 La Orotava for family holidays with toddlers. In the past, I thought that this so called hotel rural which is almost behind the famous Casa de los Balcones isn't suited for sleeping over with toddlers. 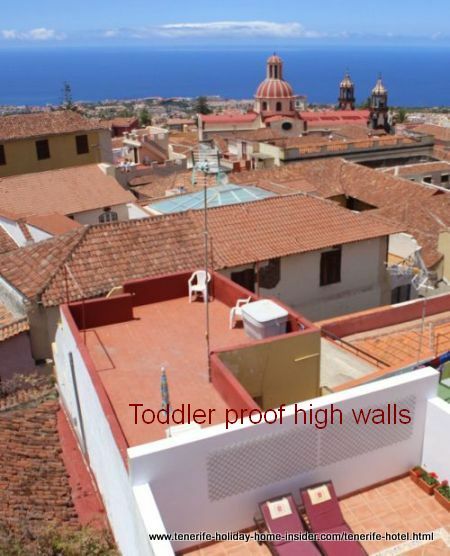 Toddler proof balcony enclosure by Orotava hotel. Below are pictures of the hotel apartment that was part of the most toddler convenient balcony. A special chamber for a private get together for young and old. By the way, you may book the 'Sala de Vinos' for a lunch or supper for your family or friends. The door can be closed to keep your little ones inside. Happy children at a hotel. A Tenerife hotel that couldn't be more typical, as happy little children play on the floor in its lobby. 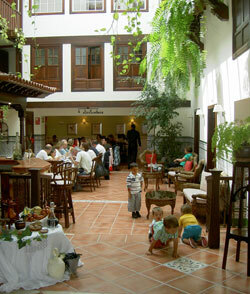 Discover the relaxed mood of children within the hotel patio... Hotel management doesn't seem to mind. That's a family hotel at its best. I caught the little boys in this Tenerife Hotel Rural Victoria on camera on the afternoon of the Corpus Christi celebrations of La Orotava, when something was on at the hotel, as usual. Opposite the 'Casa de los Balcones' is a big free parking ground. Walk a few meters up the road from the hotel. Turn right and you are almost there. Rent a car, to get the most for your vacation time and, as not to miss out on amazing surroundings. Use it to get to attractions. Not to forget are the best spots for mountain hikes and walks, while excursions to the Tenerife National Park are not more than 1 hour of leisure driving away. Attractions and the time to get there. The beaches of the former fishing village of Orotava and the Loro Park thrills may be reached easily within 15 or 20 minutes. To get to the capital with Teresita beach takes a good half an hour. It is always best to have your own car on the biggest of all Canary Islands, in any case. A day trip will get to Las Americas with all its water fun, famous golf courses and so much more to do for singles or a whole family. 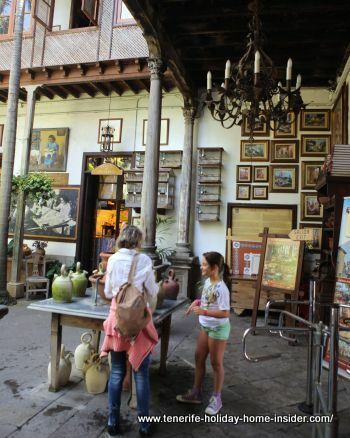 Pueblo Chico outside La Orotava delights young and old. Indeed, much to do in its neighborhood is there to guaranty interesting and happy family holidays. Special events at this Hotel Victoria. The stylish Tenerife Hotel rural Victoria prides itself of many of them. It used to organize cultural suppers with a theme which may have stopped, though. 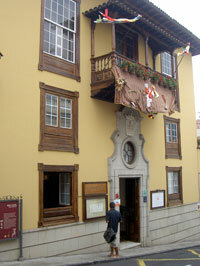 By the way, no cancellation fees are charged at this welcoming country hotel.